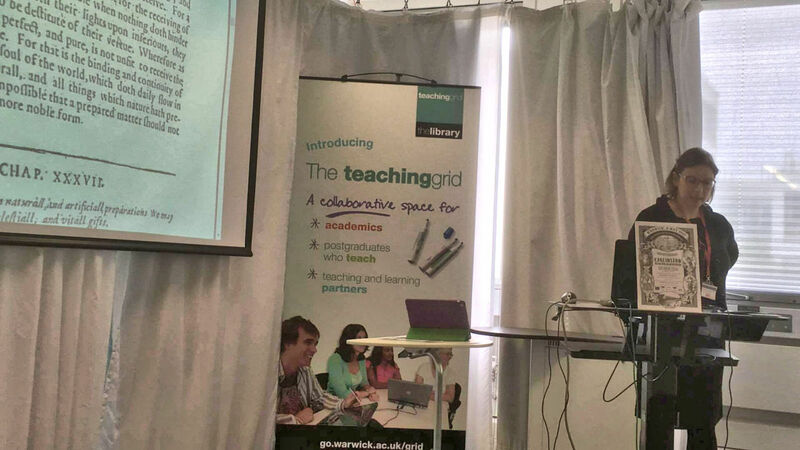 The Library - Teaching Grid, University of Warwick. Organized by Fabio Camilletti (Warwick). 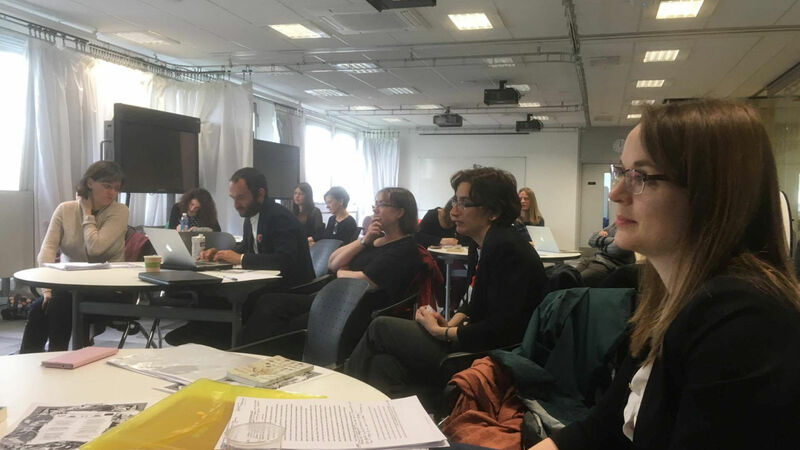 Kate Astbury (Warwick), Fabio Camilletti (Warwick), Vincenzo De Santis (Milan/Warwick), Cecilia Muratori (Warwick/Dresden), Joanna Neilly (Oxford), David Taylor (Warwick), Mariano Tomatis (IAS Warwick). 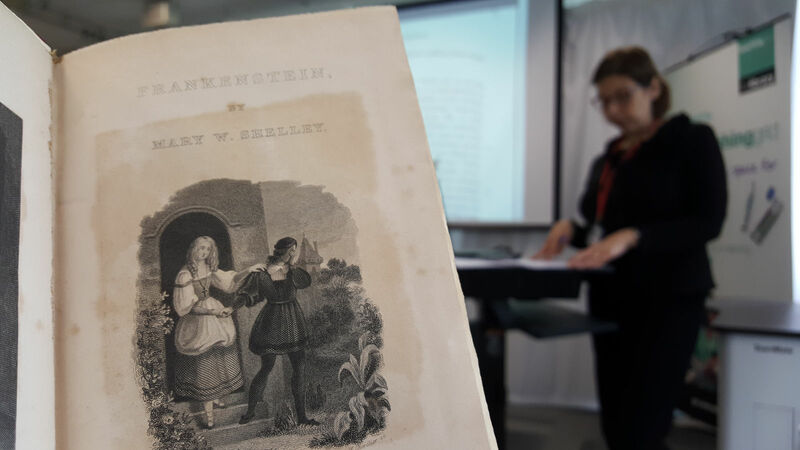 An academic workshop organized in cooperation with the Warwick Library, featuring special collections’ items, including the 1831 edition of Mary Shelley’s Frankenstein and the first edition of Collin de Plancy’s Dictionnaire infernal. 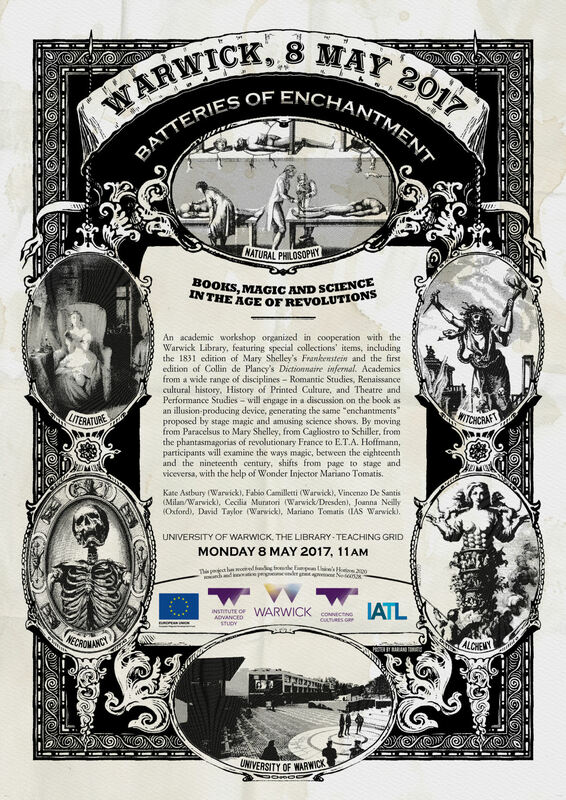 Academics from a wide range of disciplines - Romantic Studies, Renaissance cultural history, History of Printed Culture, and Theatre and Performance Studies - will engage in a discussion on the book as an illusion-producing device, generating the same "enchantments" proposed by stage magic and amusing science shows. By moving from Paracelsus to Mary Shelley, from Cagliostro to Schiller, from the phantasmagorias of revolutionary France to E.T.A. 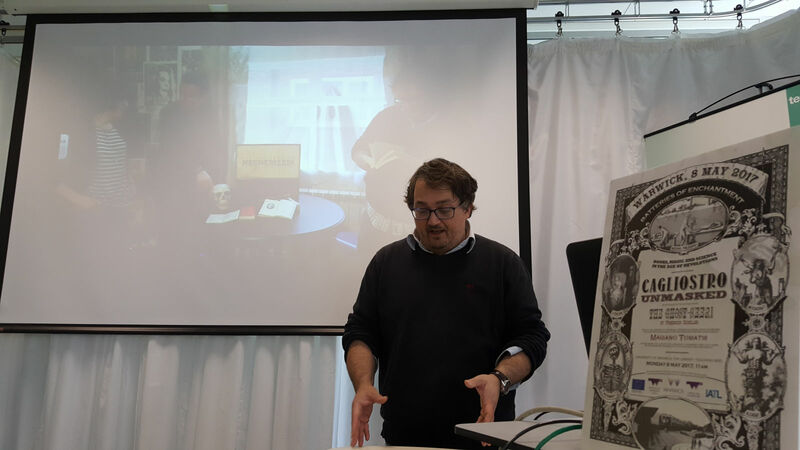 Hoffmann, participants will examine the ways magic, between the eighteenth and the nineteenth century, shifts from page to stage and viceversa, with the help of Wonder Injector Mariano Tomatis. Mariano Tomatis, The Map of Andrea Ghisi’s Laberinto, Torino (Italy) 2011. J.G.A. Cuvelier, J.B. Hapdé, Fredegilde, ou Le démon familier : drame à grand spectacle, en quatre actes (1798). 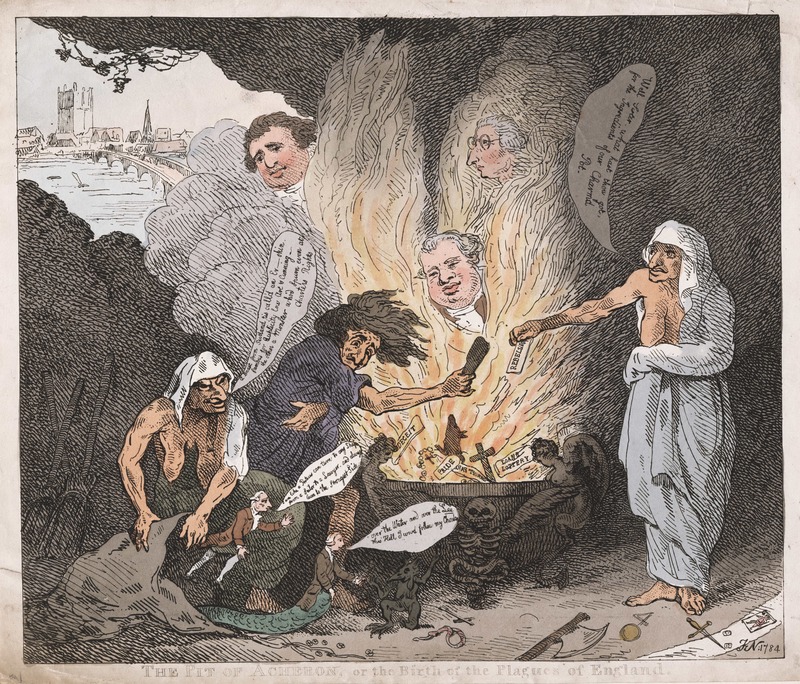 Thomas Rowlandson, "The Pit of Acheron, or The Birth of the Plagues of England", January 1784. 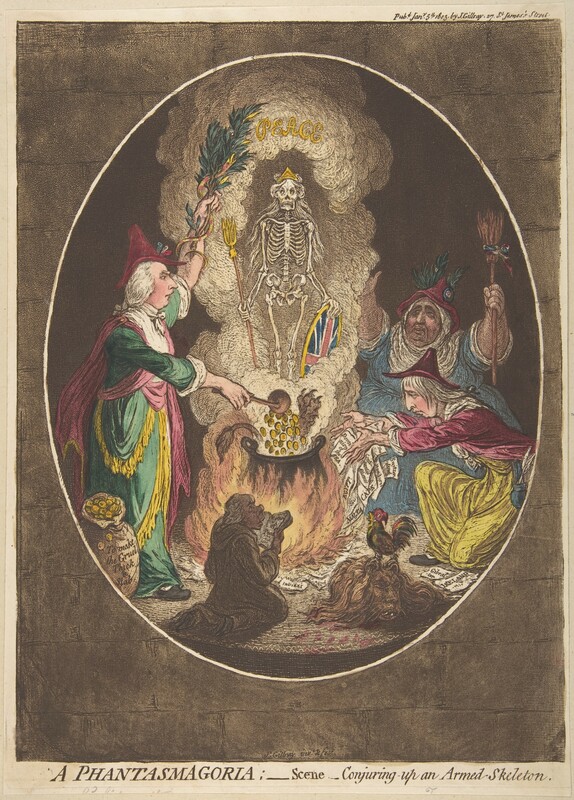 James Gillray, "A Phantasmagoria-Scene Conjuring-up an Armed Skeleton", 5 January 1803. E. T. A. Hoffmann, The Elementary Spirit (1821). The relevant part starts from p. 278. The same in German, for those who want to compare with the translation. Friedrich Schiller, The Armenian, or, The Ghost Seer, Translation by Rev. Wilhelm Render, Vol. 1, C. Wittington, London 1800. Eusebe Baconnière de Salverte, Des sciences occultes, ou Essai sur la magie, les prodiges et les miracles, Sébillot, Paris 1829: Volume 1 | Volume 2. 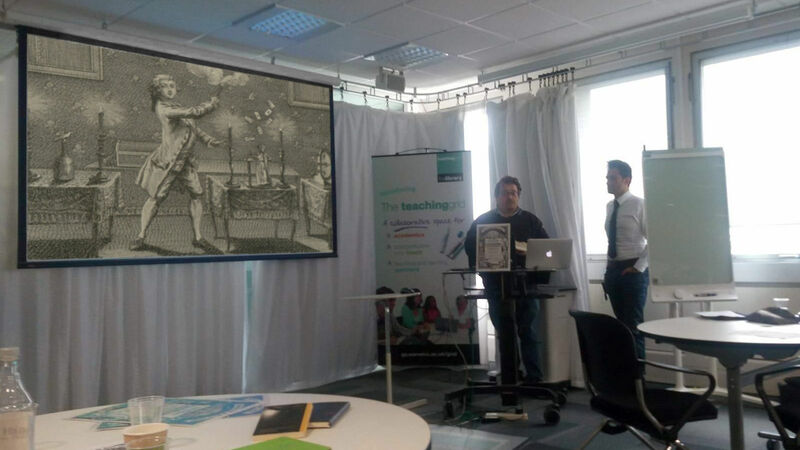 “Magic Experience Design” is the practice of designing and developing experiences which may be described as impossible, surprising, unexpected, extraordinary—all that we usually label with the word “magic.” In 1829 Eusèbe B. de Salverte publishes On the Occult Science, an attempt to retrace the history of Science from this perspective: the miracles of the Bible and the legends and prodigies of the ancient mythology are submitted to a rigorous analysis with the goal of referring them to natural causes and to the activities of magic experience designers. 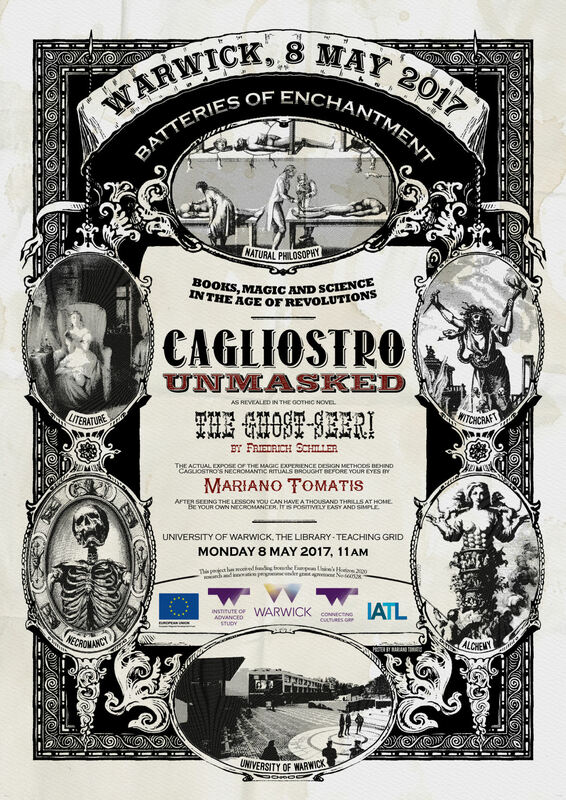 Friedrich Schiller’s The Ghost-Seer (1787) plays a similar role, explaining how the Count of Cagliostro performs seemingly incredible paranormal feats. Even though it is a book of fiction, the German gothic novel is engaged in a dialogue with other contemporary nonfiction books and together they offer a vivid portrait of the multilayered deceptions performed by magicians and necromancers. The concept of “Magic Experience Design”, the dialogue between fiction and nonfiction books and the shift of magic from page to stage (and viceversa) will be explored with an interdisciplinary approach, making use of electronic instruments, shared web libraries and advanced principles of database management and data linkage, providing a model for further investigations on this and related topics. 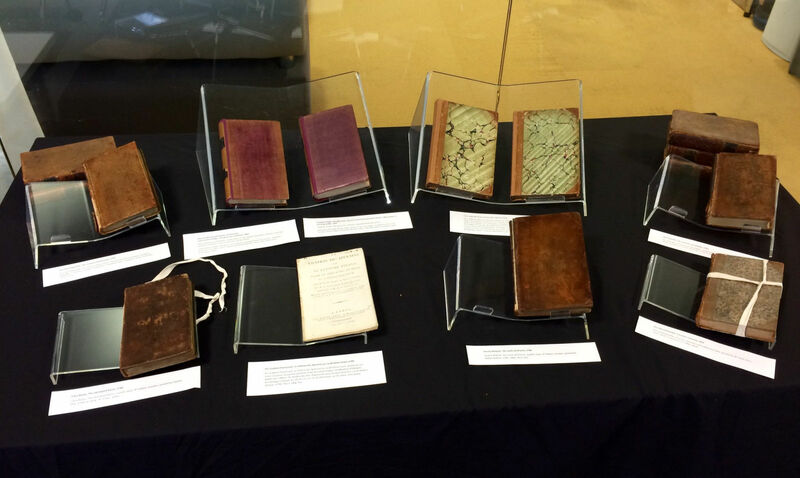 Gothic treasures from Special Collections’ items of the Warwick Library. Fabio Camilletti introducing the event. 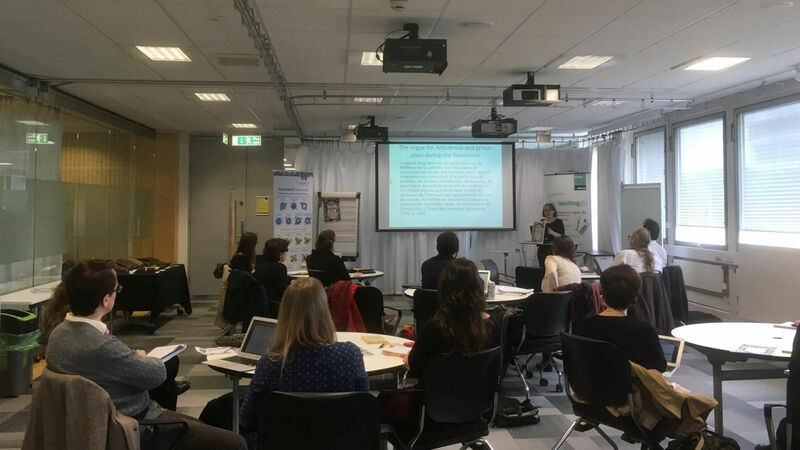 Mary Shelley’s Frankenstein is the topic of Cecilia Muratori’s speech. 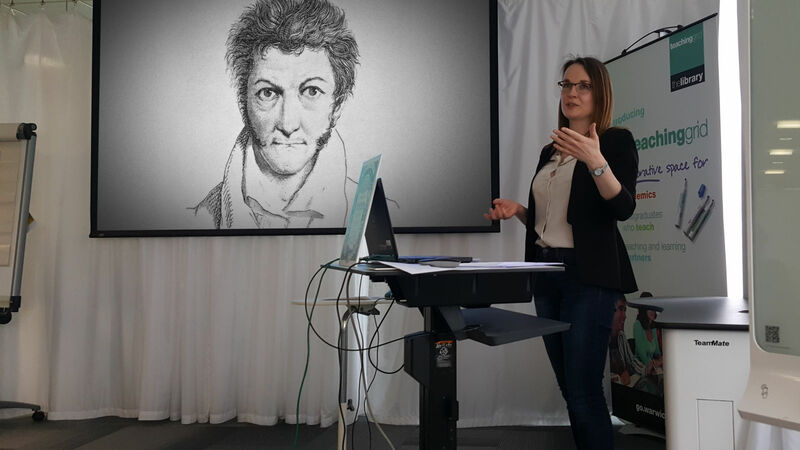 Cecilia Muratori discussing the influences of Cornelius Agrippa, Paracelsus and Albertus Magnus on Victor Frankenstein. Vincenzo De Santis on Louis Claude de Saint-Martin’s Le Crocodile (1792). 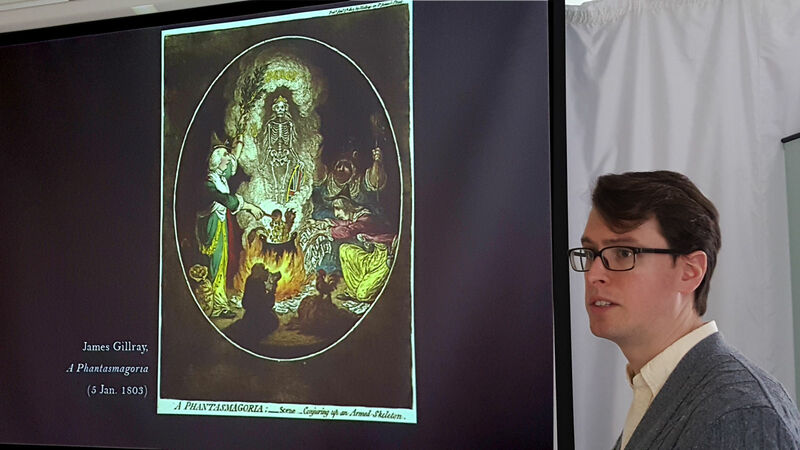 David Taylor commenting James Gillray’s "Phantasmagoria-Scene" (1803). Joanna Neilly on E. T. A. Hoffmann’s The Elementary Spirit (1821). 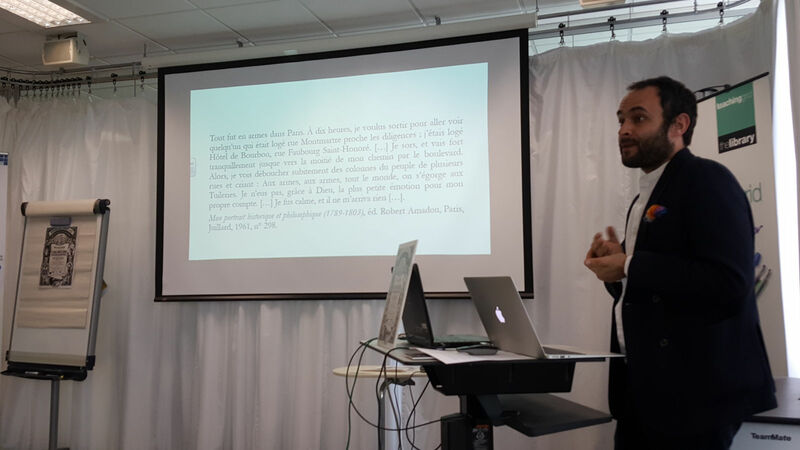 Fabio Camilletti and Mariano Tomatis on Friedrich Schiller’s The Ghost-Seer.